You’re having a baby! This is such an exciting time. I created this minimalist baby checklist to help you figure out what you actually need for a new baby, so you don’t overspend or buy things you just won’t use. Now, if you’re anything like me, you might be experiencing slight dread at the thought of all the things you need to buy. I want to tell you that it is completely possible to have a minimalist baby. 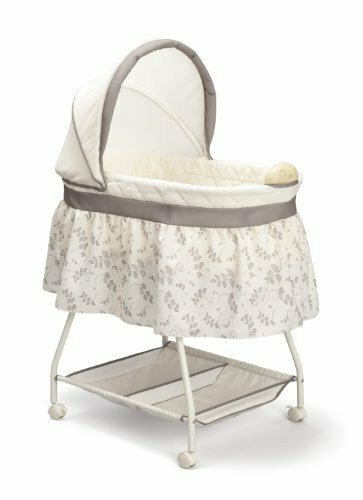 Your baby needs very little, therefore you will need to buy very little (especially if you set up a baby registry – do that here). This minimalist baby list I have honed through 2 babies born into very small houses, each packed up as little ones so we can travel the world. Both thriving and happy little boys. And although I might be biased (OK I totally am) I think my kids are better for not having lots of different things they don’t need. 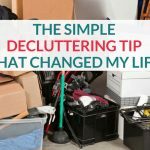 If I was starting all over again there are some things I just wouldn’t bother with, so I wanted to share my must-have list for you. I really hope it helps if you decide to set up a minimalist baby registry – which you can do very easily on Amazon – check it out here. I could probably end this blog post right here by saying all babies need is a warm and quiet place to sleep, milk (from breast or bottle), something comfy and practical to wear, a method of transport and the love and attention of their parents. When I occasionally wander into baby gear stores, I wonder where we went so wrong. Cribs selling for over $1000, and all manner of features to make your head spin. No wonder I bought so many things when I was pregnant! I had no idea that babies needed so little. So here is my list of what to buy for a new baby – the essentials. OK, you’ve gone through labor and now have to dress your tiny little bundle. Some hospitals provide outfits for newborns during their hospital stay. That was the case for my first, but not my second. Ask when you do your hospital visit. Tip: Beware of newborn sizing as you might have big babies who go straight into 0-3 months sized clothing. 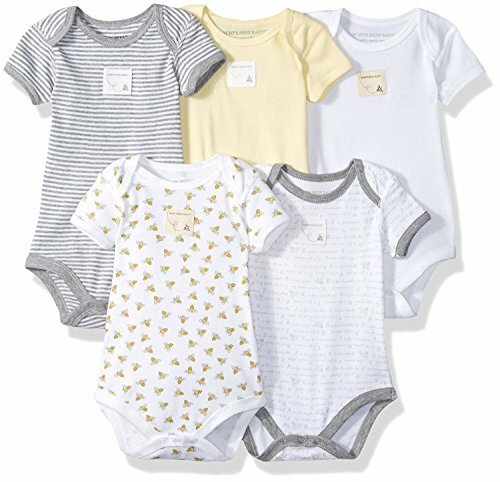 It’s a safer bet to buy the 0-3 month stuff because your baby will eventually need it, then if you have a preemie or deliver early, someone can quickly pick up some appropriate clothing if necessary. How are you getting home from the hospital or birth center? Are you doing a prenatal class? If you are, they will advise you on what you need to get home from the hospital. They might even help you install the baby car seat(aargh, this is so hard). I, personally, walked home from the hospital five days after delivering my first baby (with my husband carrying my son in the ergo baby carrier) and caught the bus home with my 2nd (with me carrying my baby in the same ergo carrier). BUT, both times the hospital staff were weirded out by this and the normal thing to do is to drive. If you have a car, you’ll need a car seat. 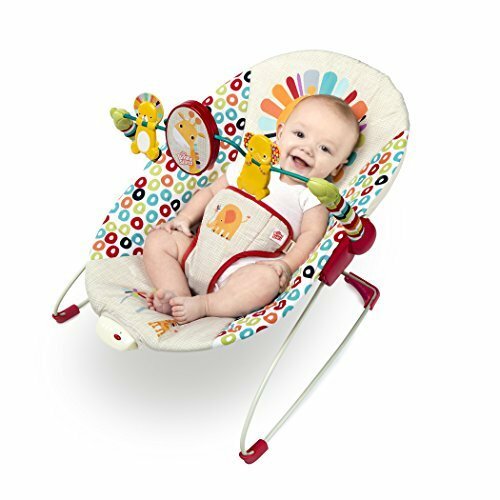 Car seats specifically designed for newborns and young infants are usually called infant car seats. They often clip into a base which is fixed into your car, and they have a handle so you can clip the car seat into the base. This is the BEST.THING.EVER when your baby is asleep and you pull into the grocery store. You don’t have to take them out of the car seat to go shopping! Just unclip them and carry them in. BUT, if your budget is tight, you’ll get better value for money with a convertible car seat (see the image below for an example). Convertible car seats can age with your child, right up to about 40 pounds (depending on the seat). This means your child can stay in the same seat until they are around 2-3 years old. What I did was rent an infant car seat from a baby gear hire company. I knew I would only need the infant car seat for a short amount of time (it ended up being five months), so it made financial sense to rent. 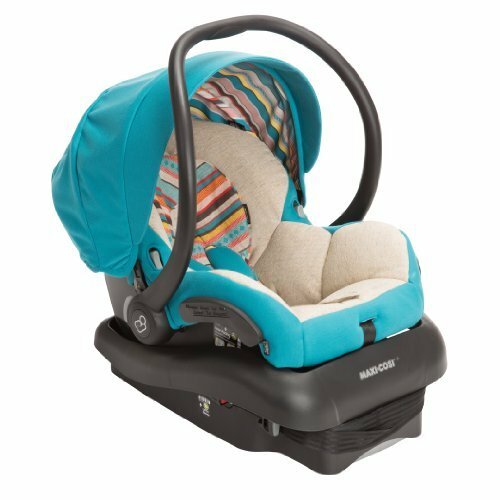 I was able to hire an infant car seat that was far out of my price range if I were buying. 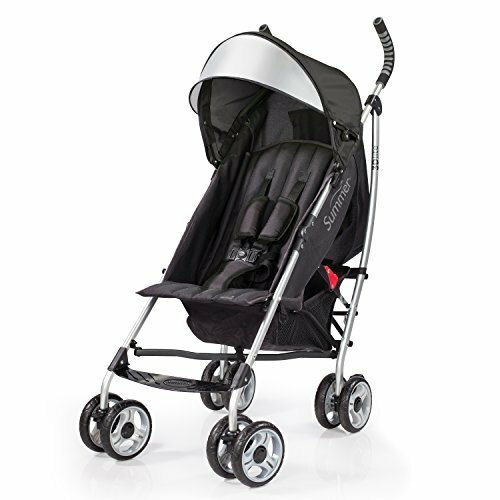 It was an Maxicosi Mico which I loved as it was lightweight, had a huge canopy so I could keep my baby shaded and it was really well padded, so it felt safer. It also rates highly when it comes to independent safety ratings. I then moved my son to a convertible car seat (like the one pictured, by Britax). He is 2.5 years old and only just growing out of the Britax seat now. For being at home you’ll just need a few things. Home is where you can go as simple as you like with your baby (without hospital staff watching your every move). Babies need tummy time so you’ll need a mat or simple cotton rug specifically for this purpose. I wouldn’t recommend doing it on the bare carpet as your baby might faceplant the floor and get carpet germs in his or her mouth. We were so grateful that a friend of the family made us a simple fleece rug, with a hardy backing, that we used for both babies. It’s still a treasured item in our household (and we don’t keep much stuff, so that’s saying a lot). After about 6 weeks old, he was able to be placed in a bouncer. We had a no-frills basic bouncer (just like this one), which cost very little. I could sit on the couch and gently bounce the baby with the tip of my toe. A bouncer is a must-have, in my opinion. When Mama needs a cup of tea in peace, the bouncer is the answer. 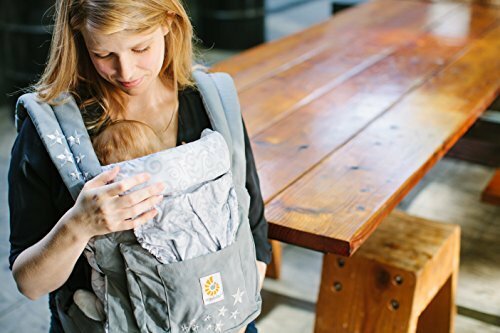 If you plan to babywear, you’ll need a wrap or a carrier. 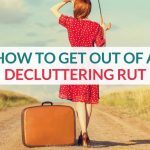 This was an absolute godsend for me, as my son did not nap well, so I was able to have him in the front pack carrier while I worked from home (with go-go-Gadget arms outstretched so I could reach my keyboard)! I used an original Ergobaby with the heart to heart infant insert. I definitely recommend it, but a wrap or sling is such a personal choice, so try a few to see which suits you best. So, sleep was so not my forte. We bought a bassinet on wheels so it could be moved around our tiny apartment. I tried so hard to get my firstborn to sleep in it. He would happily take short daytime naps in the bassinet. Night sleeping was a different story. After four months of waking up 8-10 times every night to settle him, I lay down one night with my son safely perched between my husband and I and had the best nights’ sleep of my entire motherhood. Since then, we’ve been bed-sharing, co-sleepers (more on how we shared a room with our baby here). I’m so glad I didn’t spend hundreds on a fancy crib and all the bells and whistles because it would’ve been a waste of money. Whether you’re breastfeeding or bottle feeding, you’ll need to feed that baby in the night time. It’s easiest for everyone that you feed the baby close to their sleeping area, and keep the room dark. This’ll make getting back to sleep much easier. I did not have a feeding chair for my first, so I sat up in bed or went to the living room couch. This truly sucked. For my second, I knew better. We moved one of the comfy reclining armchairs from our living room so I could feed my youngest at night. You do not need to buy a breastfeeding chair. Use any chair with padded armrests, good back support and a leg rest. If you are buying a chair new, make sure it’s something that’ll fit in with the rest of your furniture in the future as you only need a feeding chair for a small window of time. This one is beautiful and functional. No matter where your baby sleeps, they will need a blanket. To reduce SIDS risk, it’s a really good idea to use a sleep sack, or wearable blanket. We’ve used them since birth for both our boys. They keep baby warm as he can’t kick the blanket off and also have access from the bottom for easy nighttime diaper changing. I am so grateful that we did not spend a lot of money on a crib for my eldest. Our purchase of a simple bassinet on wheels meant he had somewhere safe to sleep for naps (and the very odd night sleep) that didn’t cost the earth. We had one exactly like the Delta Children Sweet Beginnings Bassinet pictured above. It cost under $50. 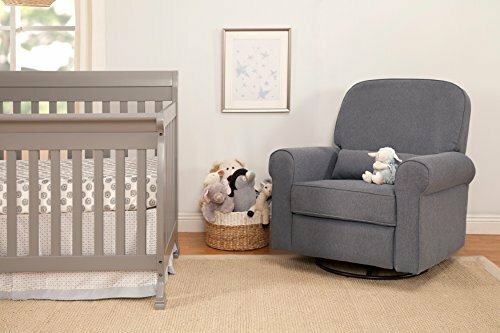 If you’re looking for more bang for your buck, a mini crib can work really well in a small space and lots of them can be converted to twin beds. 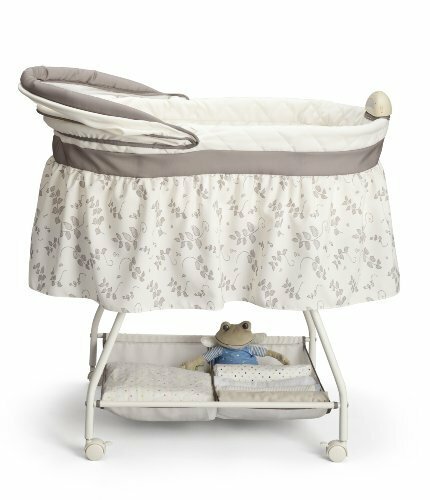 Read my picks for the best small cribs here. 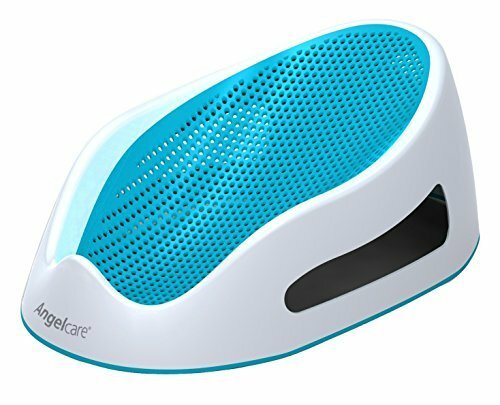 There are so many options when it comes to bathing accessories for baby but the truth is, you need very little to get your baby clean. In the beginning, you may find it easier to bathe your baby in a smaller tub, or even the kitchen sink. We bathed our first and second in various sinks, before moving to the bathtub. The reason being, they are so small, so a smaller space will keep them more contained. Also, it’s a slippery job, so you want as much support for your arms as possible, while you are holding baby. A major mistake we made was buying a baby bath. Now, if you’ve got money to burn, a baby bath might not be a bad buy, but for us, it was completely unnecessary. If you have a bathtub at home, consider buying a bath seat for your baby so they are supported in the water. 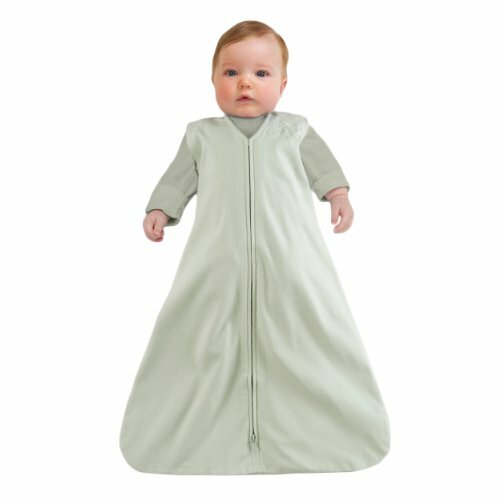 Hooded towels are a must-have, as they keep baby warm and fully covered. That said, obviously, a regular towel will do. A changing pad or changing mat is what we used after the bath. We would lie baby down on our bed or on the changing pad on the floor (with a towel on top) dress him there. I’ve mentioned my ergo baby carrier earlier, and when it came to moving around with the baby, that was the best option for me. We also had a used phil&teds stroller gifted to us, but we did not keep it as it was enormous and not collapsible. We ended up buying a lie-flat stroller, and that was perfect for our lifestyle. It could be laid all the way back so the baby could sleep in it, and was fully collapsible. It was even small enough to gate-check when we were travelling, which was a godsend when our flight was delayed for 3.5 hours at JFK, right on bedtime. I can only comment on breastfeeding as I exclusively breastfed both my babies. For a realistic list of what you need for bottle feeding, check out this link from whattoexpect. 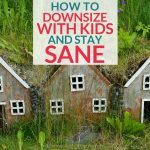 As I was a work-at-home mama, I was able to feed on demand except for the odd occasion where I was unavailable. That may not be the case for you, so you’ll need to invest in a breast pump. 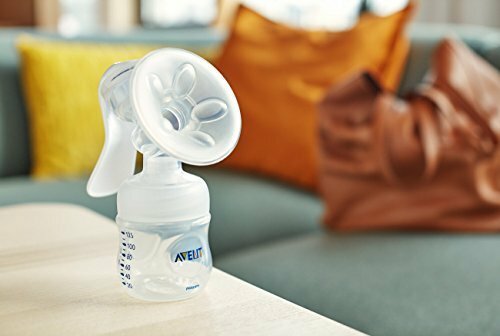 I used the Philips Avent Manual Breast Pump (pictured above) as it was cheap and did what I needed, which was the occasional bottle for when I had a lunch with friends or just needed some mama time alone. It was definitely the best breast pump for travel as it packed up really easily and is lightweight. For a working mama who needs to pump more, you’re gonna want to get an electric pump. The Medela Freestyle is a popular electric breast pump. 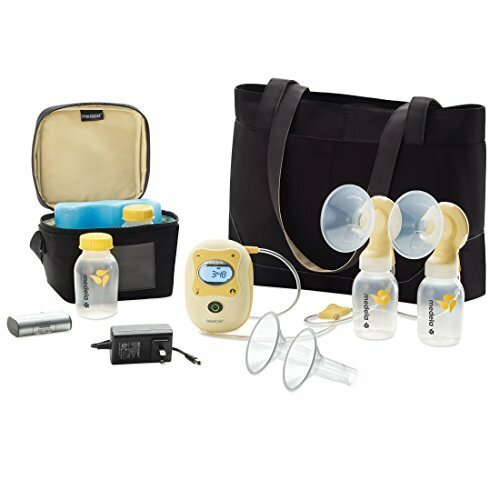 Most breast pump kits come with bottles to get you started too. Tip: You can usually hire breast pumps from baby gear hire services, which can be a huge money-saver. For feeding, you’ll also need something to catch the spit up. We never bothered with burping cloths, preferring to use hand towels. That’s a personal choice, but a burping cloth is definitely not necessary. 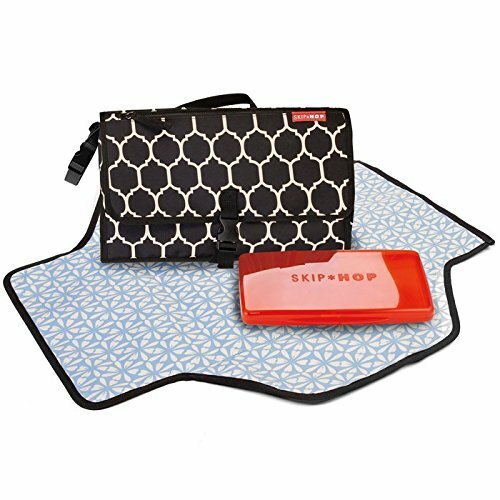 For diaper changes, we ended up using a simple changing pad when we were home, and a portable changing mat (we loved our Skip Hop Baby Pronto Portable Changing Station ) when we were out of the house. Now, we use an old towel on the floor. Our child is a relatively well-adjusted human, so I’m sure this setup did not disadvantage him. We did make the mistake of buying a changing station with an enclosed baby bath. This clunker of a thing took up so much space and was only used for around 3 months. Don’t make the same mistake we did! I hope this minimalist baby list has been helpful. If you have any questions at all please add them in the comments and I’ll be sure to answer.